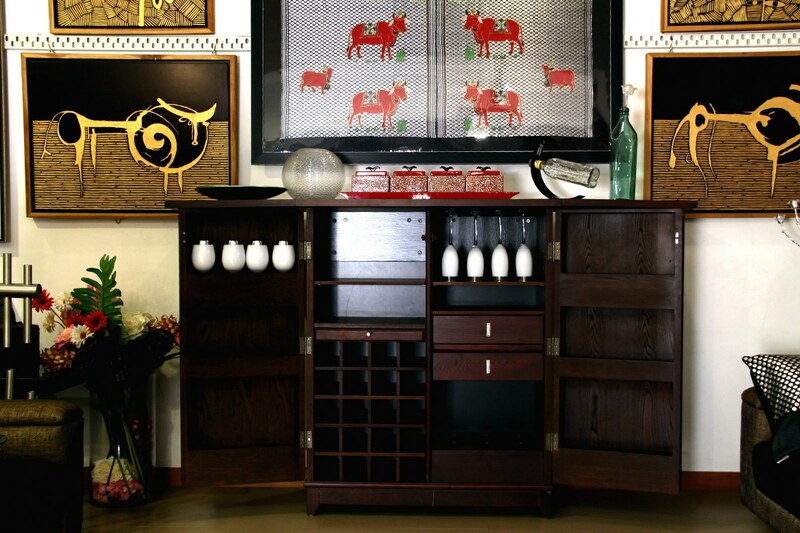 This handsome bar cabinet is a great storage for your favourite liquors without sacrificing an ounce of style. One look is all it takes to see why we think this modern dry bar is perfect for entertaining! Its double doors open fully to reveal storage for glasses and horizontal spaces for bottles. The top can be used as a great display space.